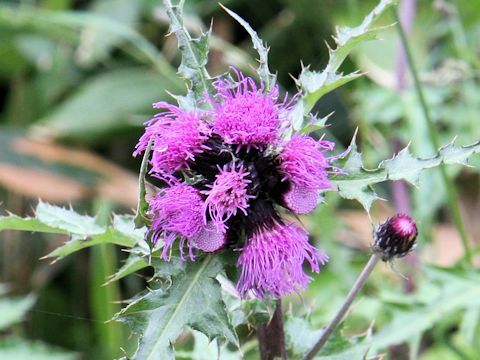 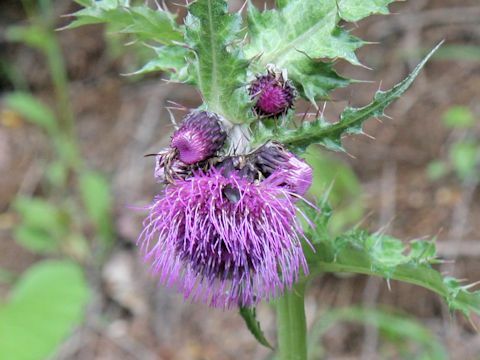 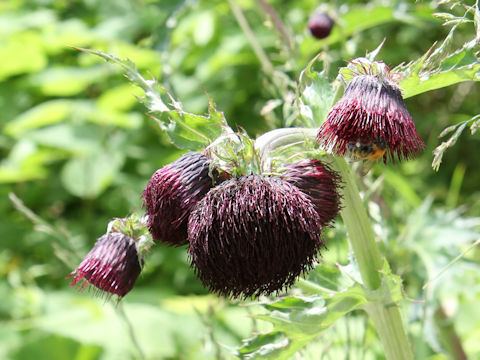 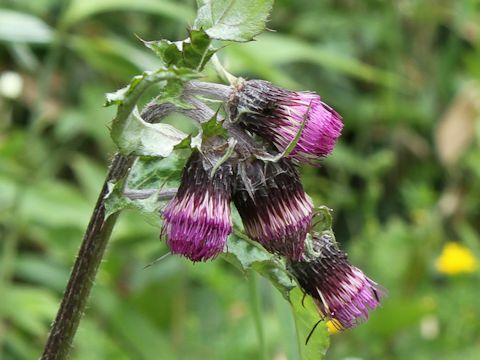 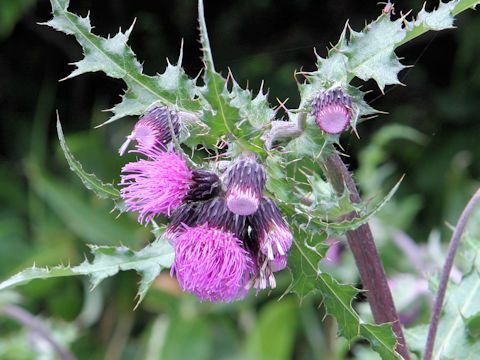 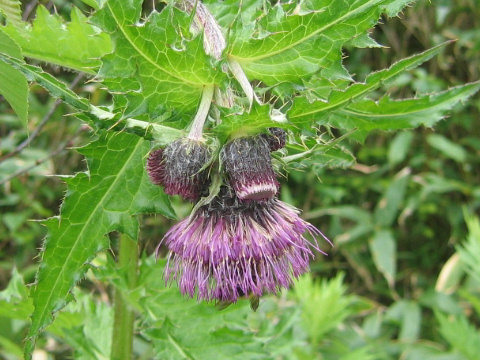 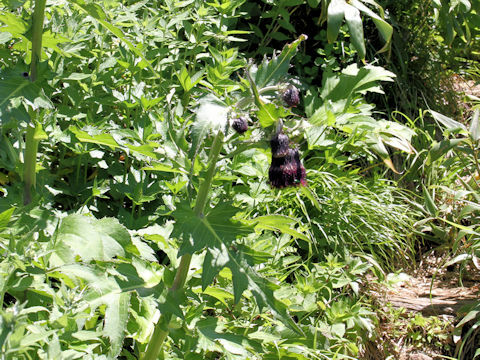 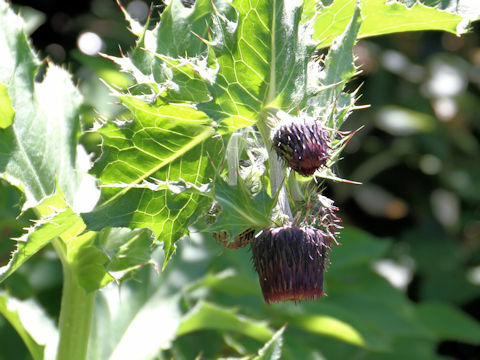 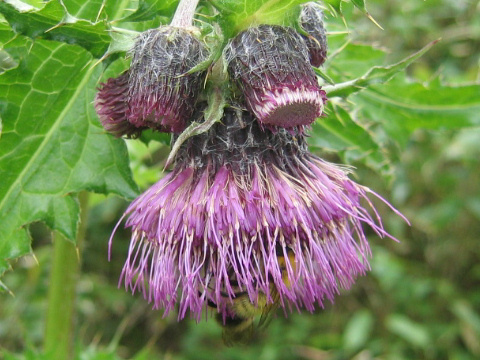 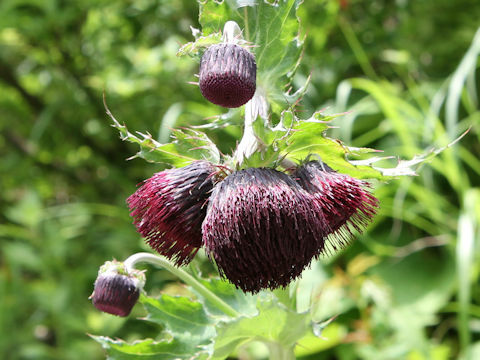 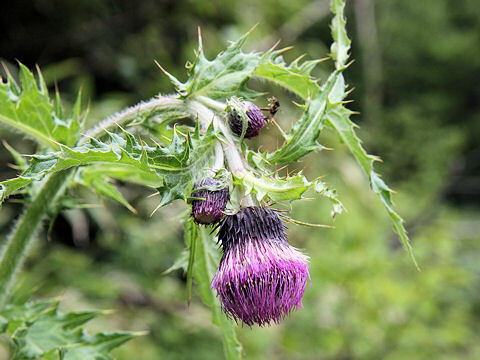 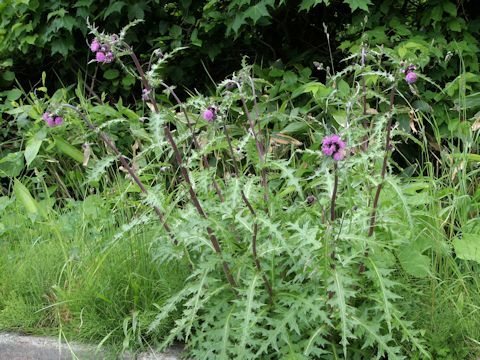 "Oni-azami" (Cirsium borealinipponense) belongs to the Asteraceae (the Aster family). 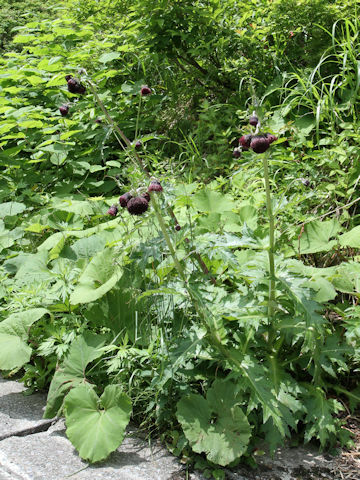 It is a perennial herb that is endemic to Japan and distributed northward form Chubu district to the Japan Sea side of Touhoku district. 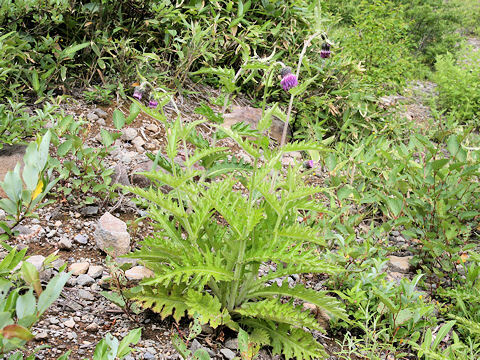 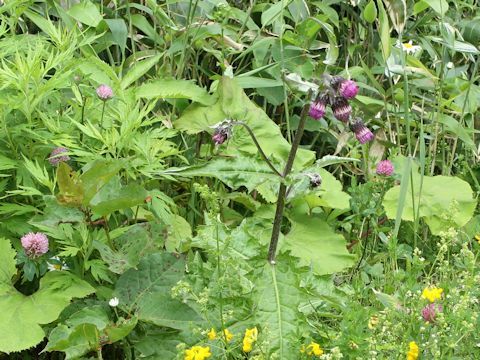 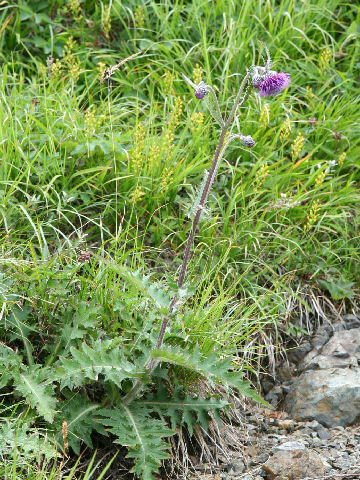 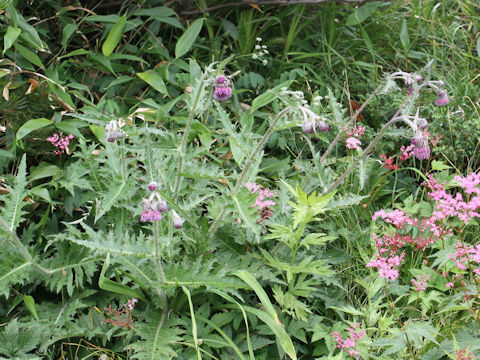 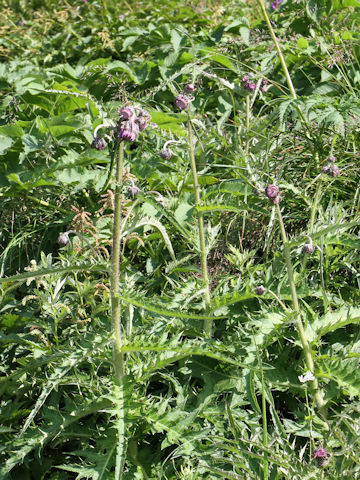 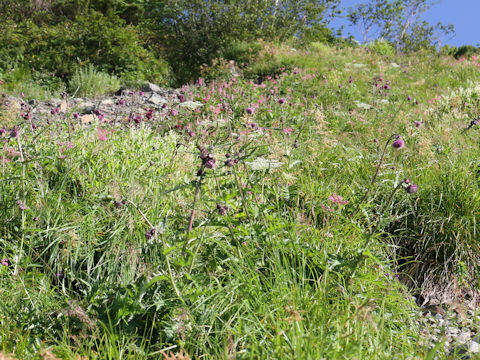 This herb grows in montane to sub-alpine grasslands and can reach 50-100 cm in height. 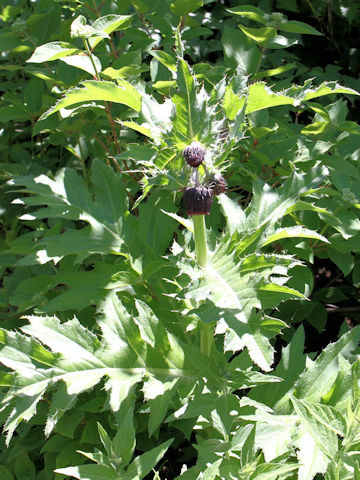 The leaves are oblong and deep to intermediate pinnately. 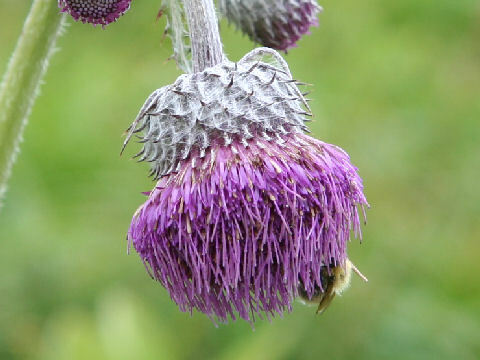 The lobes have spine tips. 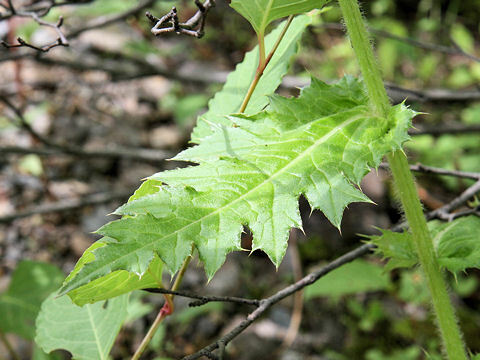 The basal leaves remain until flowering time. 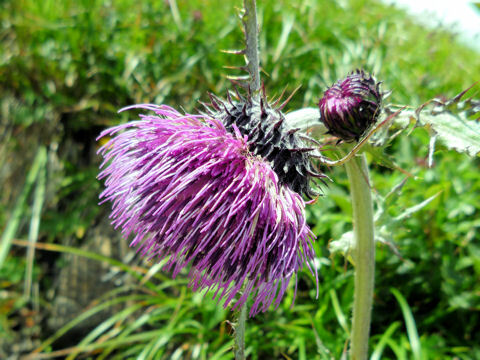 The magenta flower-heads are drooping and appear from June to September. 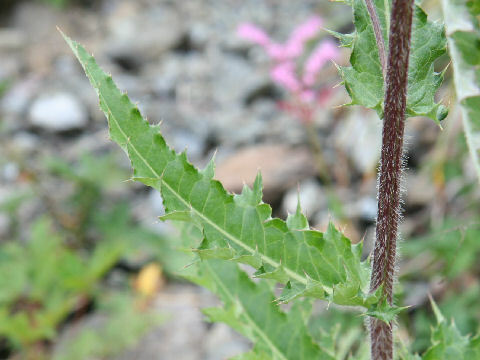 The bracts are bell-shaped and sticky.